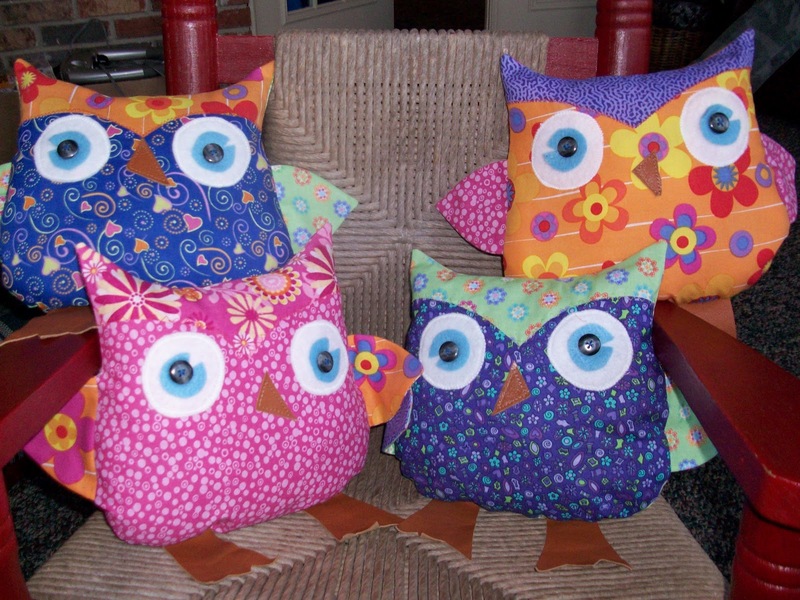 Here are a few of the little owlie pillows I've been working on lately. Can you tell they're all for little girls?!? If you're interested in ordering a little owlie in time for a CHRIST-mas gift....for either a boy, or girl....I'll be taking orders until December 1st....so that I'll have time to get them finished up and to you in time for CHRIST-mas!!! 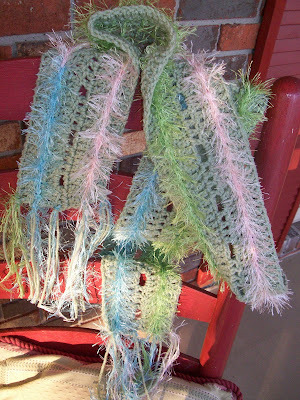 The scarf is available for purchase, also!!! Love your creativity and the background is wonderful! Good luck! love the owls, sooooo cute. I just adore the pillows. But girl I want one of those scarfs. I just had someone tell me last week I wear scarfs well. I love the owls. I'm doing my son's nursery with owls, I'll have to try making a boy version of these. I love the mix of fabrics you used to make your pillows. Very nice, you are so talented! Following you from Friendly Friday Blog Hop, and hope you'll come visit us over at Showcase Sisters...have a great weekend! Those owl pillows are beyond cute, I love them! Happy Friday! I'm a new follower, hope you can stop by for a visit. Hi there. Just stopping by from the Friday Follow. I am fighting a nasty flu bug but determined to be social! Those owls are adorable! I wish I was that crafty! There are only 3 more days left to enter my Green Holiday Giveaways so hope you get a chance to follow back and enter. I have some great stuff to give away! OMG So cute! I love everything with owls!!! Great job! How fun are your owls! Great work!